Allopathic vs. Osteopathic: Which Med School Program is Best for YOU? Osteopathic (DO) schools approach medicine with a different toolbox than Allopathic (MD) schools, yet ultimately the training and opportunities for specialization are similar. In the past, DOs have had a harder time getting accepted to traditional residencies and even employment. Some osteopathic med students applied only to DO-specific residencies. However, as of July 2020, osteopathic graduates will apply to the same residencies as allopathic graduates. This merge is part of a drive to standardize post-graduate training, so that all physicians have a comparable level of proficiency. It also reflects the fact that DO schools have become increasingly competitive, and DO graduates are highly skilled and well trained, just like their MD counterparts. Some applicants may apply to DO programs as a backup, considering them as “safety schools,” but this strategy will often backfire. Osteopathic schools are looking for applicants with an awareness of and a commitment to osteopathic principles. To demonstrate this commitment, you need to show your awareness of the unique osteopathic therapeutic approaches. You will also want to convey why you want to care for patients using osteopathic modalities. If you do not have a well-designed and convincing reason for applying, your application will likely be rejected. You don’t need to settle on just one type of program! For some applicants, applying to both MD and DO programs will be the right choice. You are genuinely interested in both MD and DO training, and think you have a chance at getting accepted to either type of program. You want to learn more about each program and feel you can make a more informed decision by going through the application and interview process. There are DO and MD programs in your geographic area and you have a strong reason for wanting to stay in the region. You really want to be a clinician – preferably in primary care – and don’t have a strong preference in terms of approach, but are open minded to both. DO schools require a separate application (AACOMAS), so applying to both can double your time, work, and cost. It may even results in a lower quality of your applications, if you are unable to spend enough time and energy on each secondary application. The personal statement for osteopathic schools has a different character count and needs to have a different emphasis. If you simply make cuts to your AMCAS essay and submit it to AACOMAS, it will not be as convincing as if you were to take the time to approach it separately and wisely. The average GPA of students accepted to DO schools increases every year and some DO schools have lower overall acceptance rates than allopathic schools. Most DO schools expect you to shadow and get a letter of recommendation from a practicing DO. These can be hard to obtain, so start looking at least a year before you are planning to apply. If you are lucky enough to be accepted to a DO school early in the cycle, you need to put a deposit down to save your place. If you eventually get into and decide to attend an allopathic school, you could end up losing your deposit. As a medical school applicant, you have two amazing choices. Allopathic and osteopathic schools offer related, yet distinct paths to becoming a clinician and physician. Before applying, do your research and examine your options carefully. Then you can thoughtfully pursue the path that is right for you. Work one-on-one with an expert medical school admissions consultant with decades of experience guiding applicants to acceptance at top medical schools! You’ll learn how to identify your competitive advantage, and use it to get accepted. 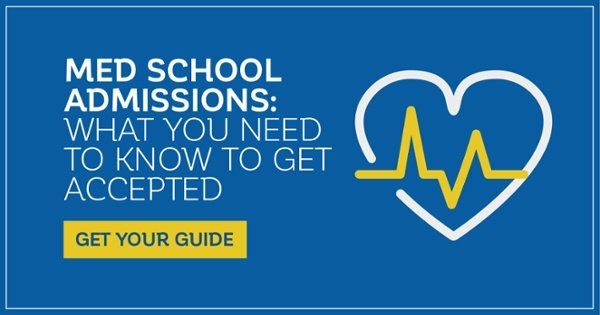 Explore our Medical School Admissions Consulting services, work with your consultant to choose the best med programs to apply to, and then confidently submit a stellar app that will get you ACCEPTED! • Medical School Selectivity Index: Where Are You a Competitive Applicant? Last updated on January 23, 2019.